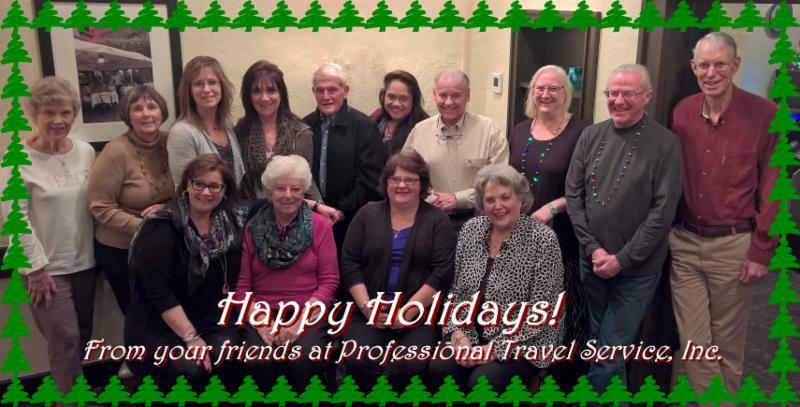 Seasons Greetings from Professional Travel Service! We hope you have an enjoyable holiday season! Our office will close at 2pm on Friday, December 22nd, and reopen at 9am Tuesday, December 26th. We will also close at 2pm Friday December 29th, and reopen at 9am Tuesday, January 2nd. We look forward to working with you in 2018! Please call us at 425-827-5656, we'd love to hear from you.